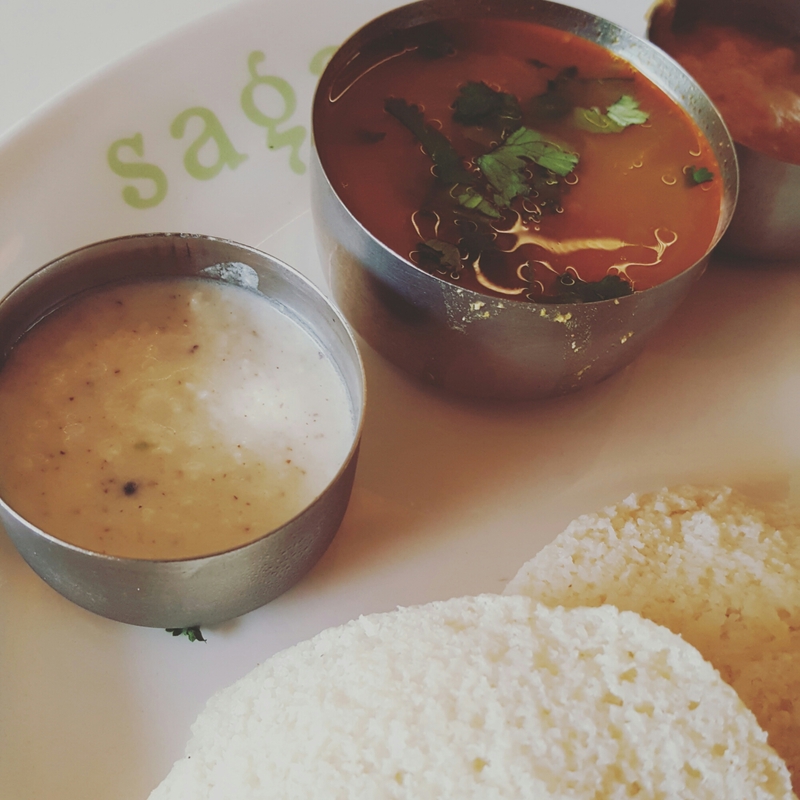 A few days ago I went to review Sagar Restaurant, which specialises in Pure South Indian vegetarian cuisine. 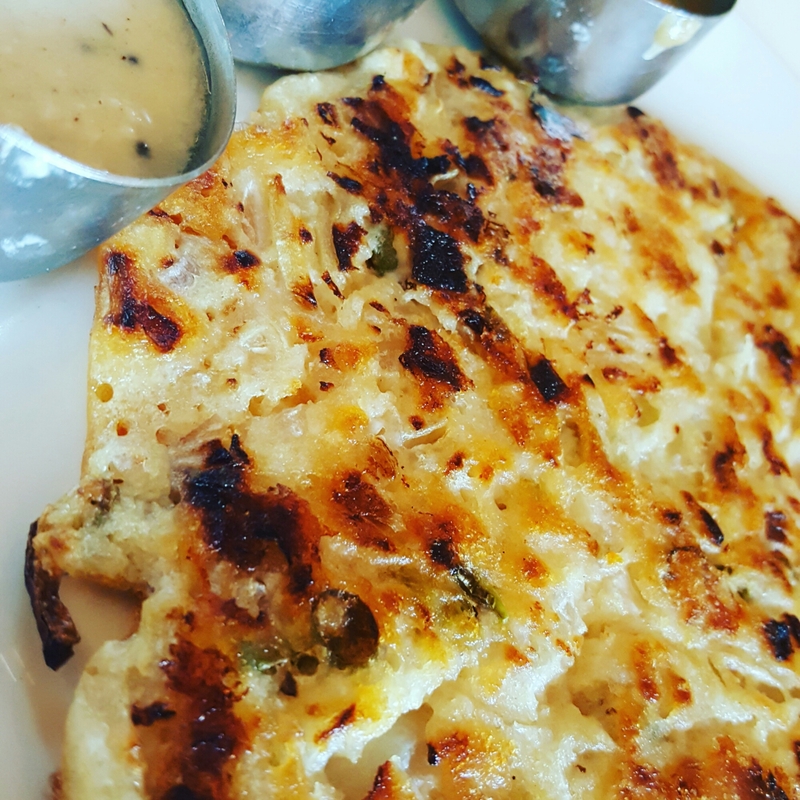 The menu allows you to explore other regional veg dishes especially infamous chaats from Mumbai! My initial impression was that it was lovely. The decor was simple, clean yet striking, a quiet and calming space, very zen like to be able to eat in peace and comfort. Traditional music was floating in the air which definitely added to the ambiece of the restaurant. The staff were extremely attentive, helpful and knew their dishes well. 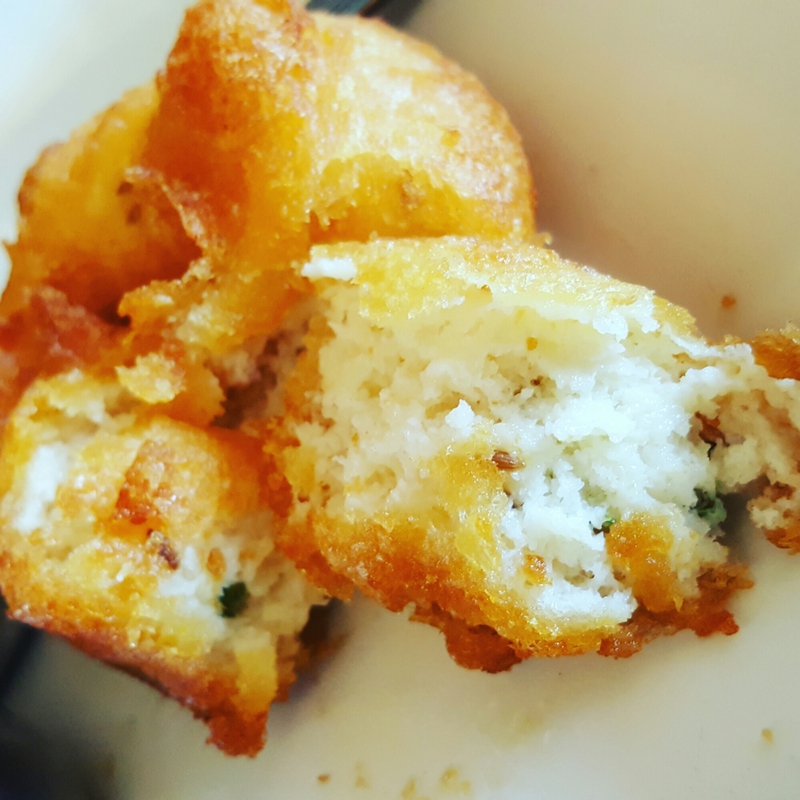 I fancied the Idli Sambhar, my mum who had accompanied me, was recommended to have the Medu Vada. These starters were truly incredible. 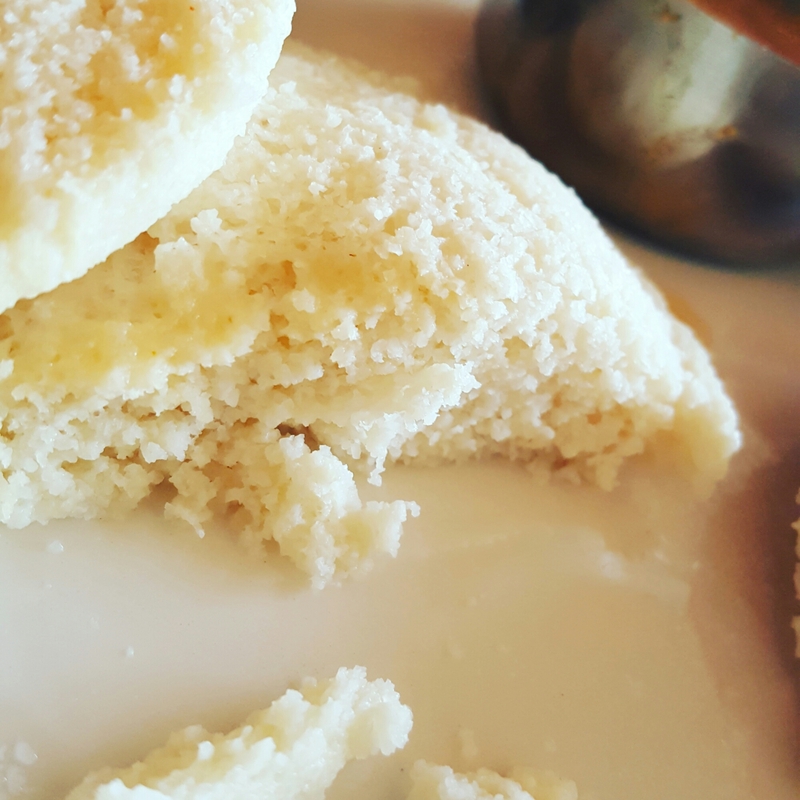 The idli were like soft clouds that just melted away on my tongue. 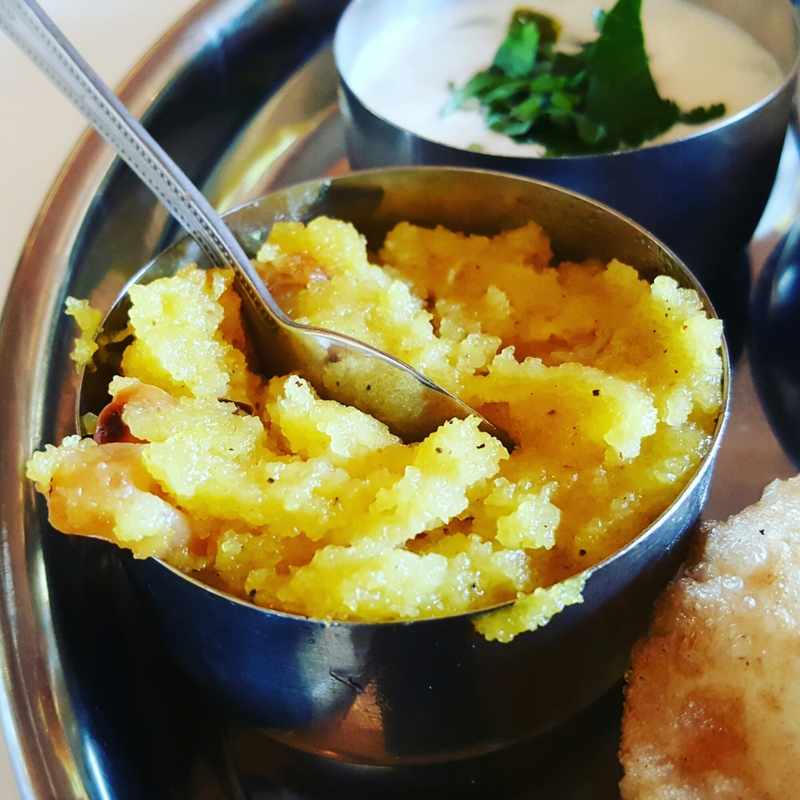 The silky texture of onion in the sambhar and its consistency was spot on! 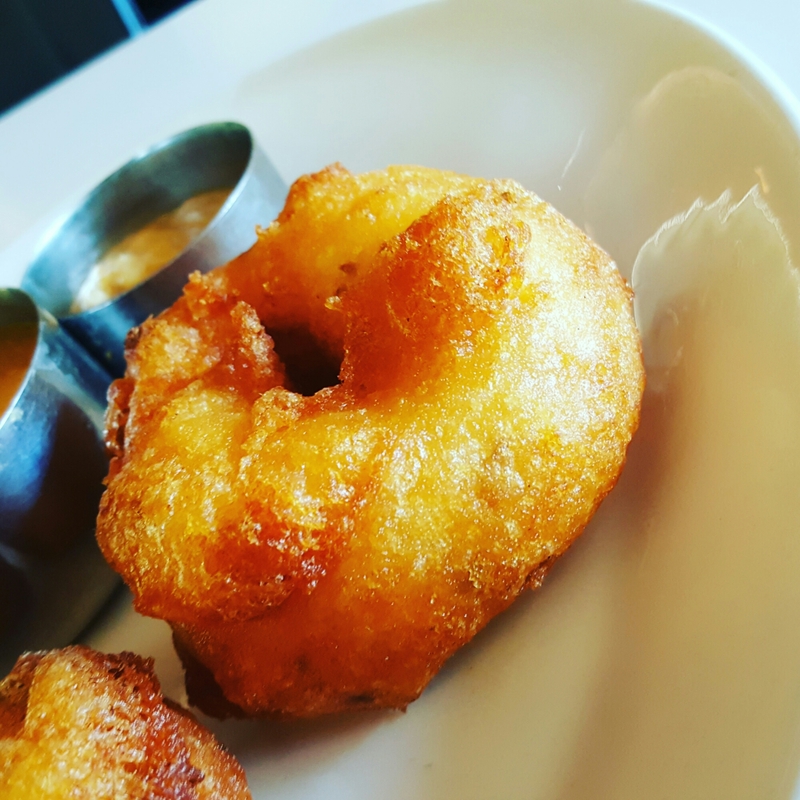 The medu vada, simple crispy battered fried doughnuts, not greasy but cooked to perfection, was stunning when dipped into the coconut chutney and drenched in the tasty sambhar! 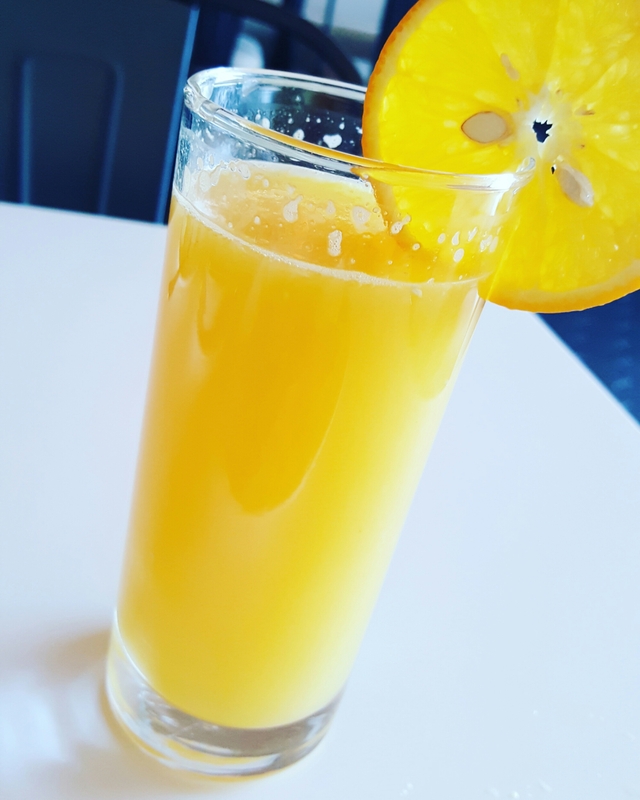 I was also pleasantly surprised having ordered an orange juice that I received a freshly squeezed sweet and tangy oj. For my mains the Traditional Udapi thali was getting prepared and the chilli & onion Uttapam for my mum. 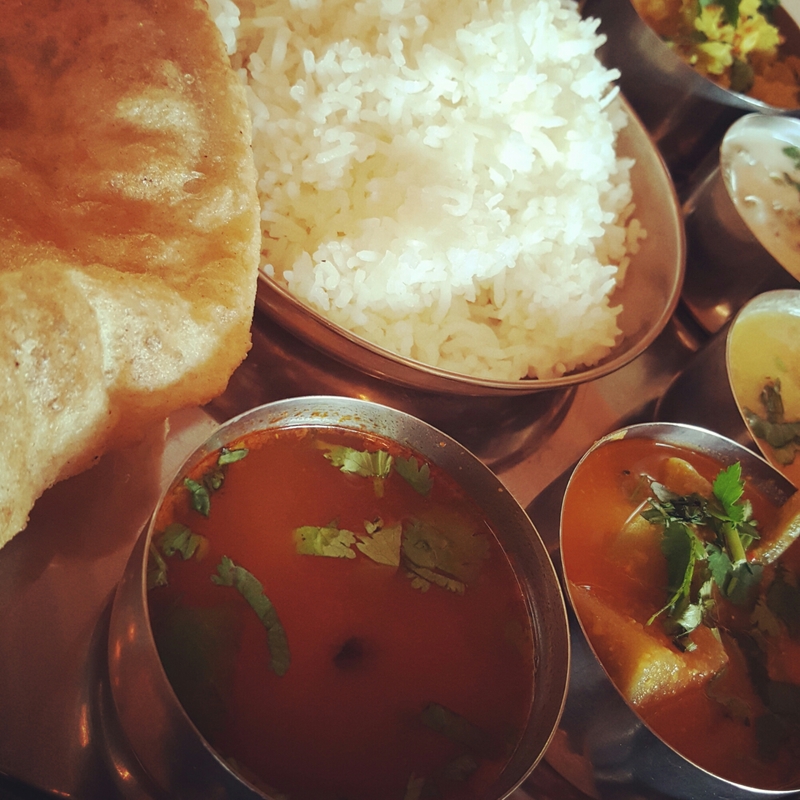 The thali is one of their best sellers and I can totally understand why and I agree! Presented well and all the individual dishes were named and shown to me by Shridhara the manager. I found all the elements of the thali complimented each other. A mixture of curries, dry and saucy. Two types of dal to go with the heaped mountain of rice. The over generous puri/flatbread binded each portion together. My favourite in particular had to be the dry cabbage bhaji. A soft, salty, crunchy dry curry. Extremely tasty and so very moreish! The creamy yogurt based coconut curry was amazing too! “Rasam…ummmm!” Was how my mum described the thin almost transparent soup. It was to her liking due to the chilli factor. It hit the back of your throat with a warming sensation! I just loved how she reacted. My siro, a sweet semolina pudding had started to disappear mysteriously. Yes you guessed right, my mother couldn’t help herself. She said she never eats siro unless it’s homemade but the look of Sagar’s siro tempted her. I too loved it. Sweetly balanced, the cashews were toasted and cardamom notes stayed on my palette ~ Divine!! Overall I can’t rate this restaurant enough. I have to admit so far it is THE BEST SOUTH INDIAN restaurant I have been to and I have been to a few! 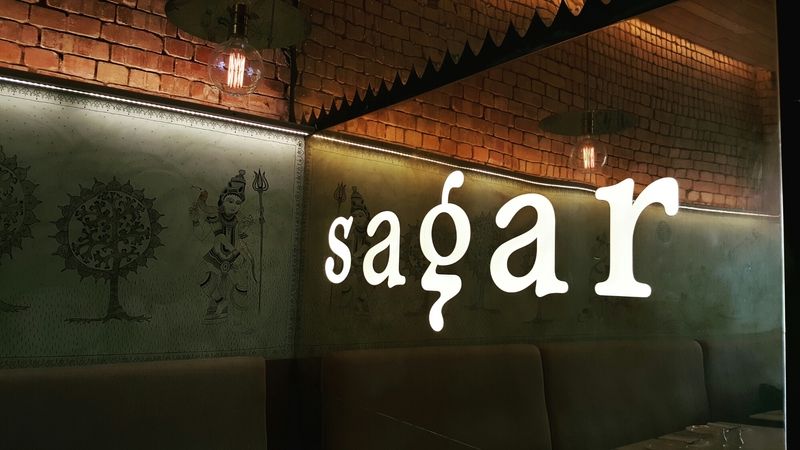 There’s no surprise that there are two more branches of Sagar in Central London. 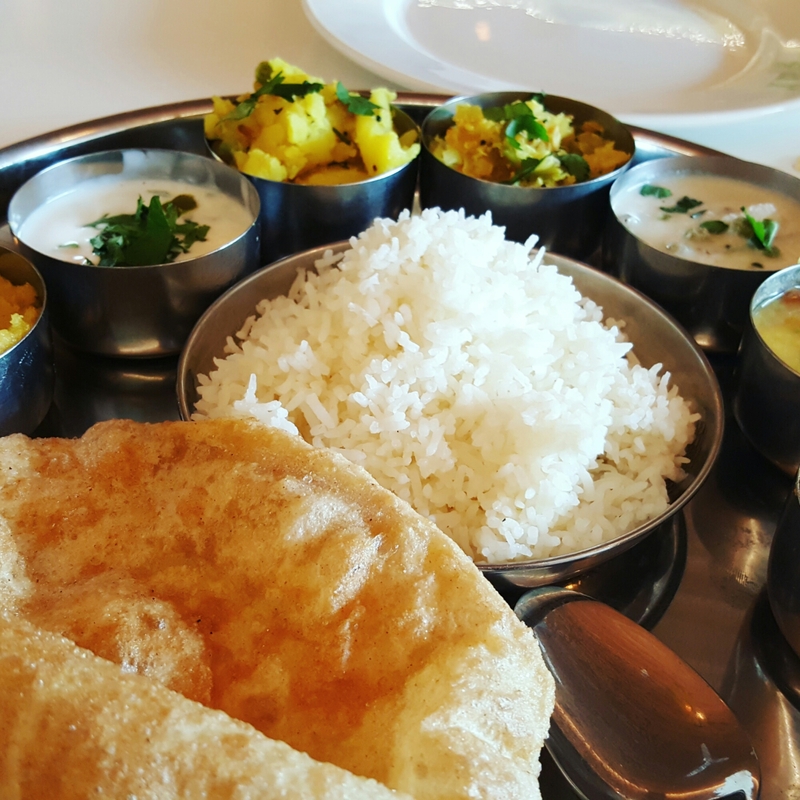 If you fancy traditional South Indian food, good service and great prices, Sagar is the place to go!